Las Olas recently appeared in GOLFNEWS magazine. The article outlines many of the features that Las Olas has to offer its residents and highlighted our Ceibo Valley Golf Course, currently under construction. GOLFNEWS is the first specialized golf magazine in Ecuador. Owned by Progolf, a company that recently signed a deal with the PGA Tour to host Ecuador’s first Latin American PGA Tour event held last week in Quito, the Ecuador Open. 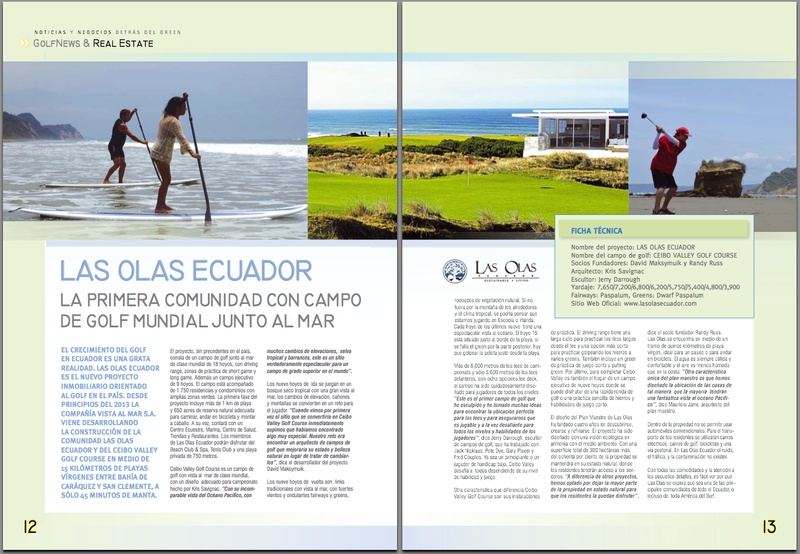 The magazine is delivered throughout Ecuador and internationally through its alliance with Golf Magazine Media Group to over 40,000 subscribers.